High concept story lines are based on an intriguing premise or hook. A hook is the same thing as a logline, best described as a 1-2 line TV guide listing. A short pitch line takes a complex book plot and summarizes it down to an enticing teaser. Generally this teaser is the first step to conveying your novel idea to an editor or agent, whether in a query letter, proposal, or during a pitch session at a conference. Characters – Who is the main character? What does he or she want? What is their goal? Conflict – What is the obstacle in the way? Who will play the part of the villain? Does the main character have a flaw that adds to the drama of why he can’t get what he/she wants? Setting/Time Period – What is unique about your setting or time period? Does it contribute to the conflict for the character? Main Action – What is the most compelling action in the story? Emotional Element – What is the most gripping emotional element to your story? Sometimes a high concept idea can be only in the title. So even if a movie or a book doesn’t get top reviews, people still buy it because they “have to” experience it. I’d like to share the hook on two books that I enjoyed reading. These represent daring authors who didn’t take the easy road in determining their plots. Imagine the craft it would take to write these two novels. Better yet, read them and enjoy. The Book Thief by Markus Zusak – The story of a 14-year old girl living during the time of the Holocaust, narrated by Death. The hook is the author’s narrator choice. The time period is very compelling and the fact that the girl steals books to teach herself to read during a time when books are being destroyed is a gripping period piece, but to have Death be the narrator puts this book over the top. The New York Times is quoted as saying this book is “life changing.” All I can say is that it changed me. Thirteen Reason Why by Jay Asher – This is the story of a girl who commits suicide but sends 13 audio tapes to the people who contributed to her making that fatal decision. The audio tapes are an effective hook, but the writer chose to tell the story through one boy who got a recording. He was the one person who had a secret crush on this girl, but did nothing about it. The story is told one night as he listens to the intimacy of her voice in his ear as he follows the map to all the locations she sends him to. Recorded flashbacks mix with the present, but the reader never loses track of what is taking place. Here is the hook for my latest series with Harlequin Teen – The Hunted series. In this series, kids who can’t speak out, without drawing attention to who and what they are, make the perfect victims on the streets of LA. A covert faction of a church hunts them under the guise of doing God’s work—to stop the abominations from “becoming.” The tag line on the cover will be: They are our future, if they survive. A fanatical church secretly hunts “Indigo” teens feared to be the next evolution of mankind. These gifted teens are our future…if they survive. 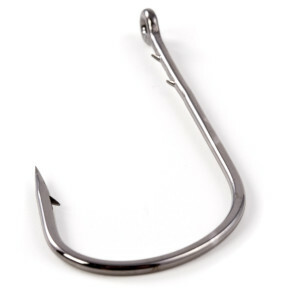 For those of you writing a project now, please share your hook. Take up to 3 lines. Even if you don’t have a current project, make something up that you’d like to write and have fun using the questions above. You never know what might pop up.